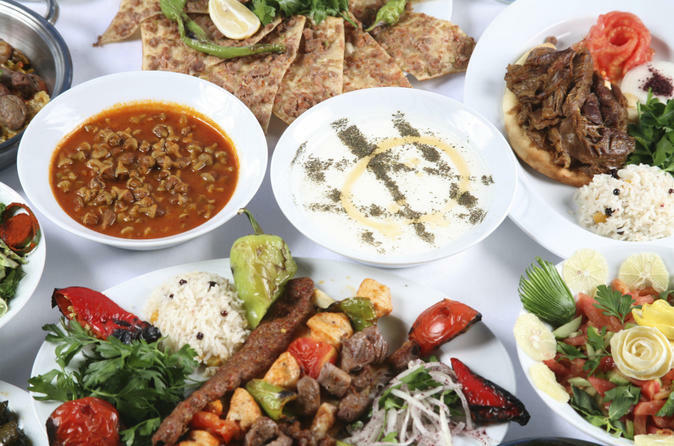 Enjoy an unforgettable night out with this 3-hour Turkish dinner and show in Marmaris, including unlimited wine, beer and soda. Feast on a 3-course meal of classic Turkish dishes and be swept away by the energy of Turkey's traditional folk dances, songs and music. Watch exotic belly dancers shimmy around the tables, marvel as whirling dervishes glide and twirl across the stage, and tap your feet to traditional Turkish tunes. Then, once you’re in the spirit, head for the floor to join in the fun and merriment for yourself. Explore the charms of Dalyan on a full-day boat tour from Marmaris, and relax on Turtle Beach and experience Dalyan’s mud baths, sail to the protected Iztuzu Beach, known for its loggerhead turtles, and admire the rock-cut Lycian Tombs, the last resting place of the Kings of Kaunos. Combine a day in the sun with Dalyan’s loggerhead turtles, Lycian tombs and mud baths on a full-day cruise from Marmaris! After leaving the city, enjoy a swimming stop in the clear waters of Adaköy peninsula before cruising east to the coastal village of Dalyan. 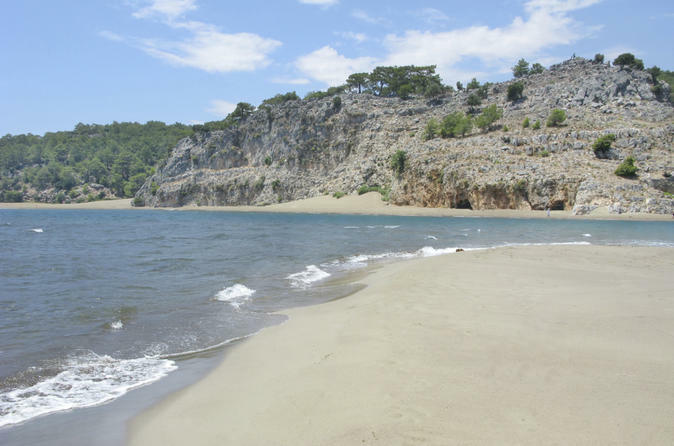 Swim, sunbathe and turtle spot at İztuzu Beach; cruise along the Dalyan River to visit the local mud baths and thermal pools; and then cruise past the ancient King’s Tombs at Kaunos. A delicious lunch is included on board. Witness the splendors of Pamukkale and ancient Hierapolis on this action-packed day trip from Marmaris. 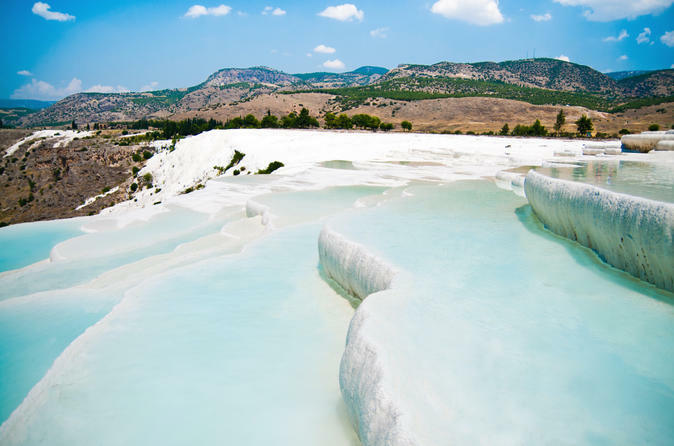 Fueled by an included breakfast and lunch, visit the geological site of Pamukkale — a mountainside known as ‘Cotton Castle’ to the Turks for its dazzling white terraces and pools, all formed from solidified calcium-rich springs. Then, delve into the relics of Hierapolis, a Greco-Roman spa city built near the curative springs. See the temples, colonnaded streets, theater and necropolis, and perhaps swim in Cleopatra's Pool (own expense) once used by the Romans themselves. Venture off-road and explore the rugged mountain trails and secluded bays of Bozburun Peninsula on a full-day tour by convertible 4x4 jeep! 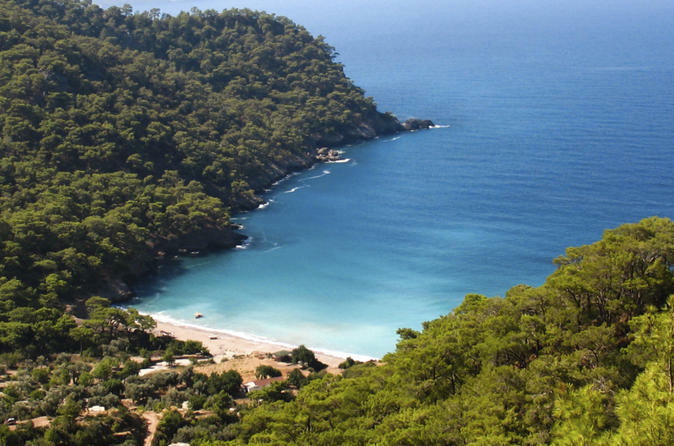 After leaving Marmaris, relax as a local guide drives and delve deep into the countryside, enjoying the scenery and stopping to swim and explore. Visit Kızkumu (Maiden’s Beach), Turgut Fall and the idyllic Bayir village, and feast on a BBQ lunch in the town of Turgut. Sail around the Turkish Riviera's poster-child beaches and enchanting bays, on a 3-night ‘gulet’ cruise from Marmaris to Fethiye! Aboard a traditional wooden sail boat, follow a route around the must-discover alcoves of Turkey’s sun-kissed coast, taking in tranquil Ekincic Gulf, Oludeniz Bay, Gemiler Island and Turunç Pınarı. All meals are included on board, and how you spend your time in each place is totally up to you! 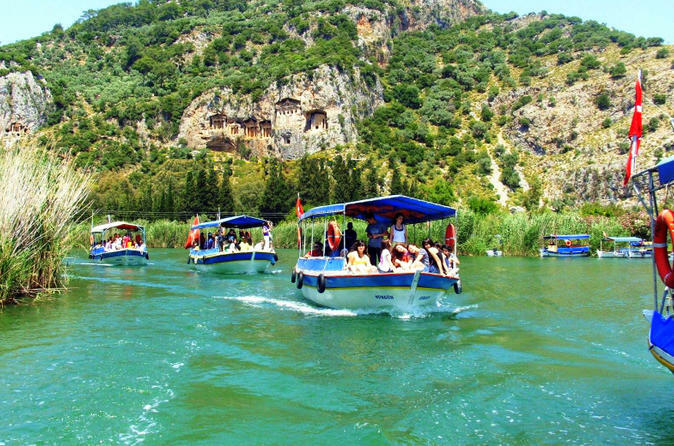 An optional excursion to the ancient village of Dalyan can also be arranged. 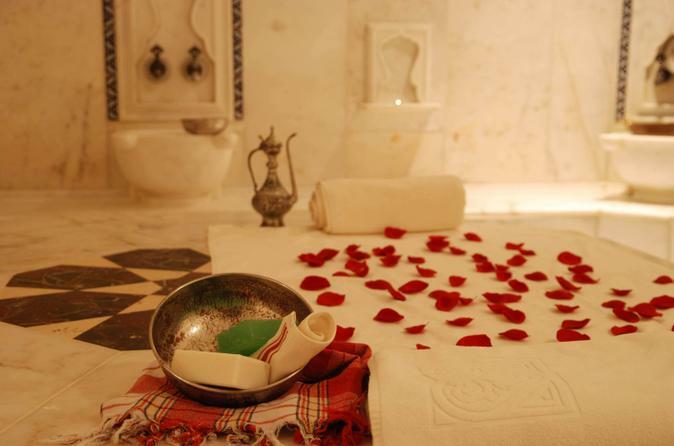 Treat yourself to one of Turkey's traditions with a visit to the Turkish bath in Marmaris. Enjoy a soothing steam bath, followed by a relaxing full body wash and foam and aroma therapy oil massages.